You are here: Home / From My Kitchen / Hummus and me! Hummus is one of my favorite “go to” foods when I looking for a snack and is a great source of protein for vegans and vegetarians. I like to dip in with plain rice crackers which tastes delicious with hummus. Hummus can be used in wraps in place of mayonnaise, or used as a dip with your favorite veggie or taco chip. 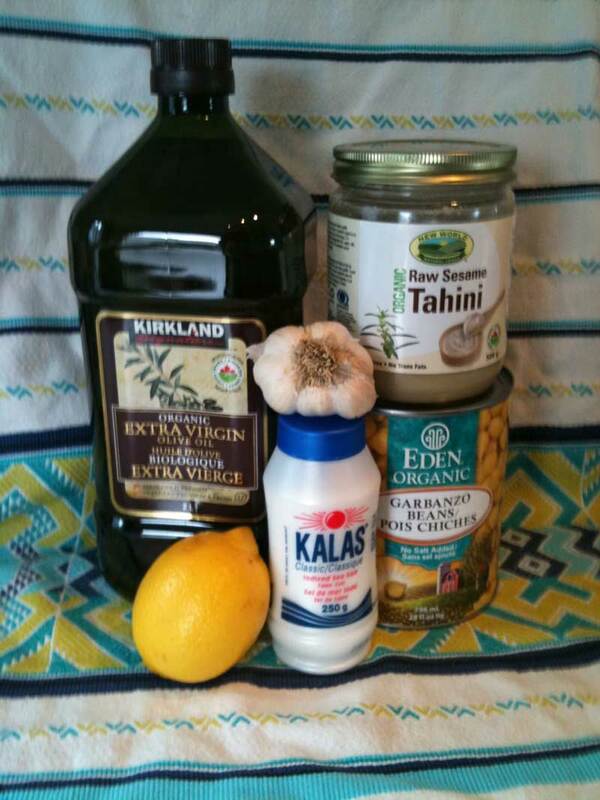 Here are the ingredients that you will need to whip up a batch of hummus. I like lots of garlic so adjust the amount you use to suit your taste. 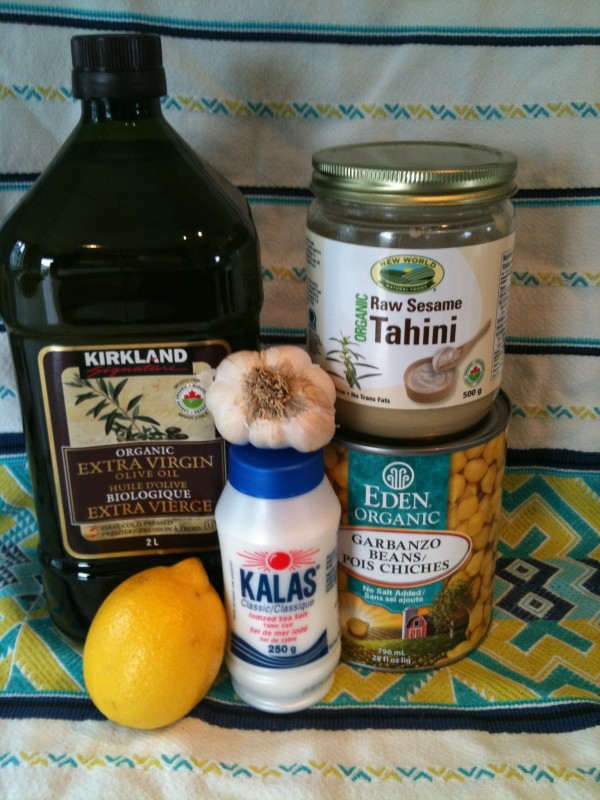 Place the chickpeas, garlic, and sea salt in the bowl of a food processor. Process for 15 to 20 seconds and then stop and scrape down the sides of the bowl, and then process for another 15 to 20 seconds. Add the lemon juice and water. Process for 20 seconds and scrape down sides of bowl. 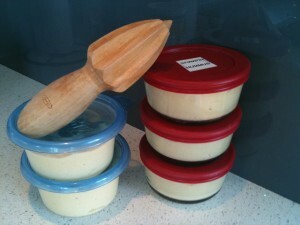 Add the tahini and process for another 20 seconds, then scrape down the sides of the bowl one more time. With the processor running, drizzle in the olive oil and process until a smooth consistency. I make a batch on the weekend and put in into small containers. One goes in the fridge and the rest go in the freezer until needed. You are probably wondering why I am showing you my citrus reamer…..it is one of my kitchen essentials and is a must have when you are making hummus. Enjoy!